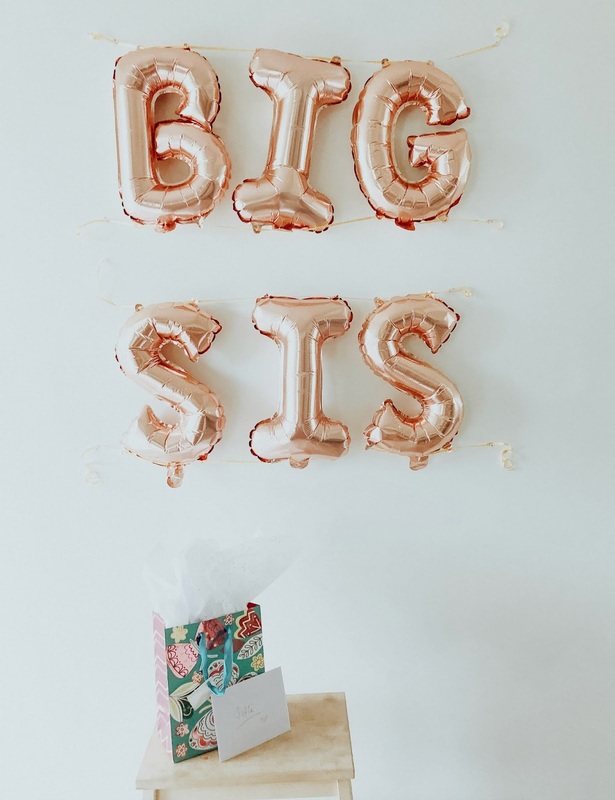 Big Sister Party | stesha rose. 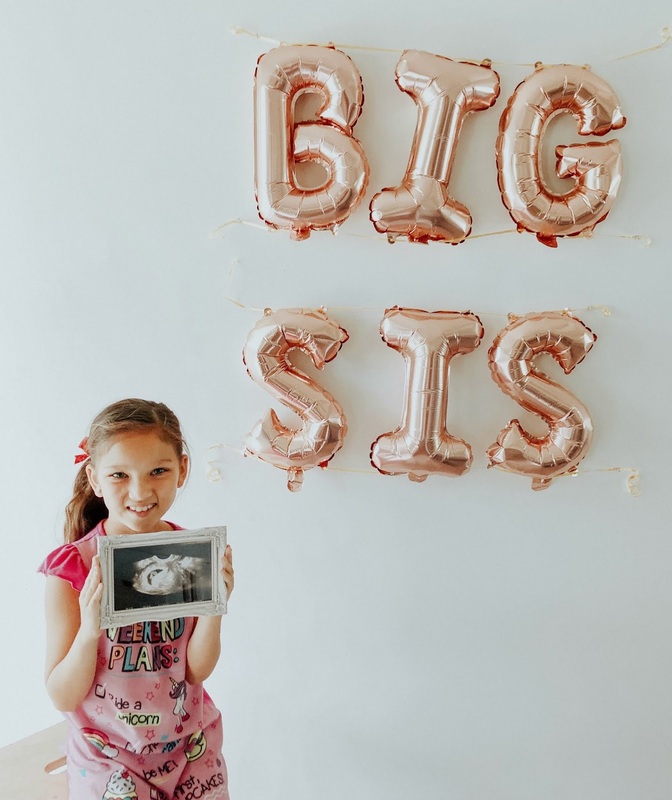 I have been thinking of how we would tell Sofia she was going to be a big sister since I knew we wanted to expand our family, so a while to say the least. It wasn't until we were actually pregnant that all of a sudden time was passing and things were now becoming real. 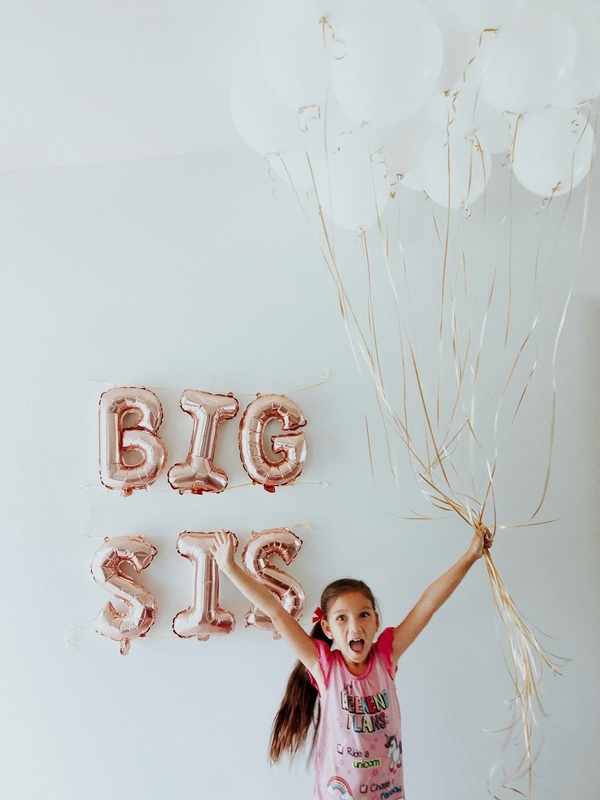 How would we tell Sof she was going to be a big sister? Is she going to be happy? Sad? Unsure? Will she jump for joy or say, "cool" and walk away. All these thoughts were running through our heads daily. Sofia was also leaving us for the summer, I would be almost 9 weeks when she leaves, that is still so early. But I would be over 16 when she comes back and that is a long time to share the news with the person who deserves to know most. Our first ultrasound appointment fell on June 21st, which also happened to be Sofia's half birthday. She has been saying for weeks she wanted to have a half birthday party.... excuse me what?! Listen girlfriend, mama is not in the mood for these shenanigans since when do we do half birthdays in this house?! And a full party at that! 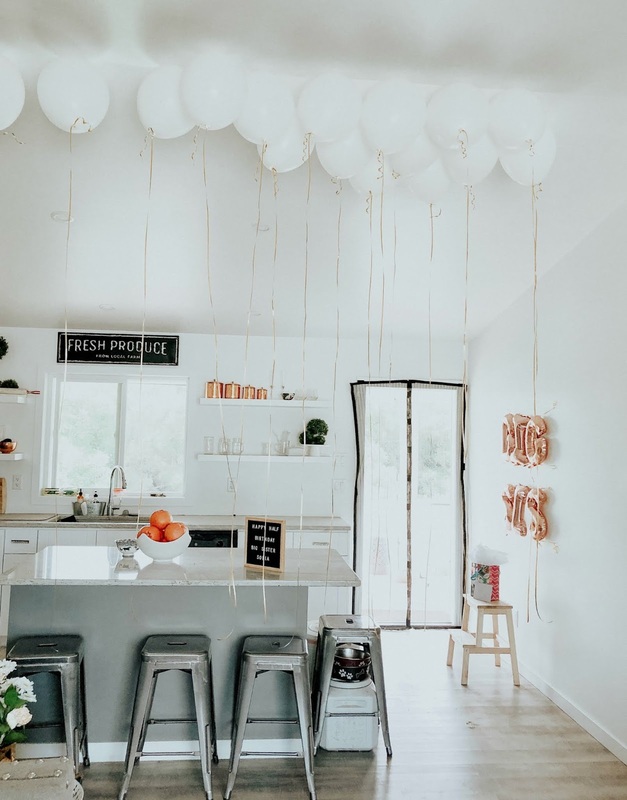 I also saw this as an opportunity to take advantage of, we could throw her a half birthday/big sister party, this will be perfect! At our Ultrasound appointment everything went extremely well! Dr. Wise had dismissed up from the fertility clinic to our regular GP and she said our miscarriage rate had dropped below 10%. This did not mean we were in the clear but we decided to take a leap of faith and tell Sofia anyways! After our appointment I raced from and headed to the dollar store to pick up a bunch of balloons and bought a little frame for the ultrasound photo so we could wrap it up as a gift. It happened to be pajama, movie, toy day at school so Sofia was already so excited for the day, I knew this news/party would make her day a tiny bit better. When Stephen picked her up from school he had her close her eyes before walking in the house. I was so nervous all I could think about was how she was going to react. I had two of our phones set up to catch a couple of angles so I cold remember forever her reaction. She walked in and was SO surprised and then all of a sudden her face when blank she when read the letter board on the counter.... 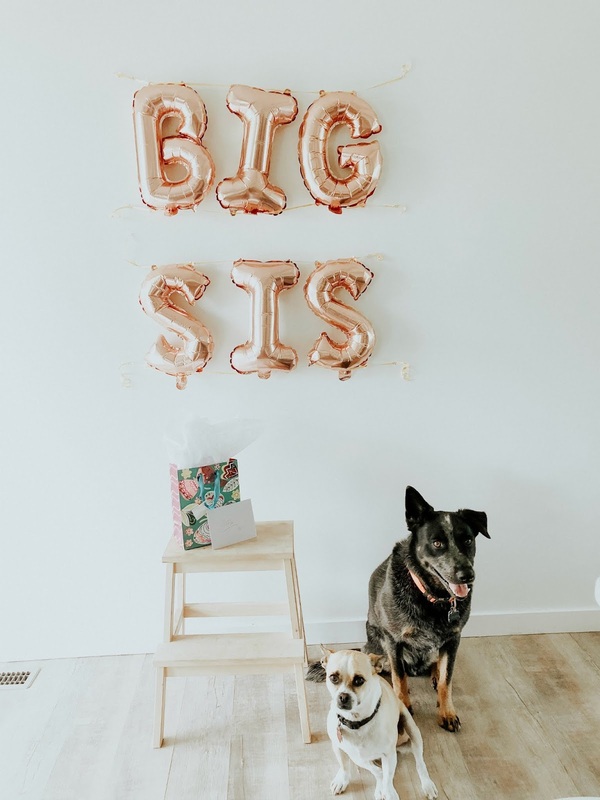 I am going to be a big sister she cried?! She then ran over to the stool where the present was and read the card baby had written her. At first she only wanted to read it to herself then she finally read it out load as a big smile came over her face. "This is the best thing ever, I am SO EXCITED to be a big sister. I don't even care if it is a girl or a boy!!" We all hugged and cried and laughed. She then immediately started calling the baby a "she" and wrote down a bunch of girl names she loved. It was one of the best days we have ever had as a family. To be able to share the joy with our daughter and see her face light up. 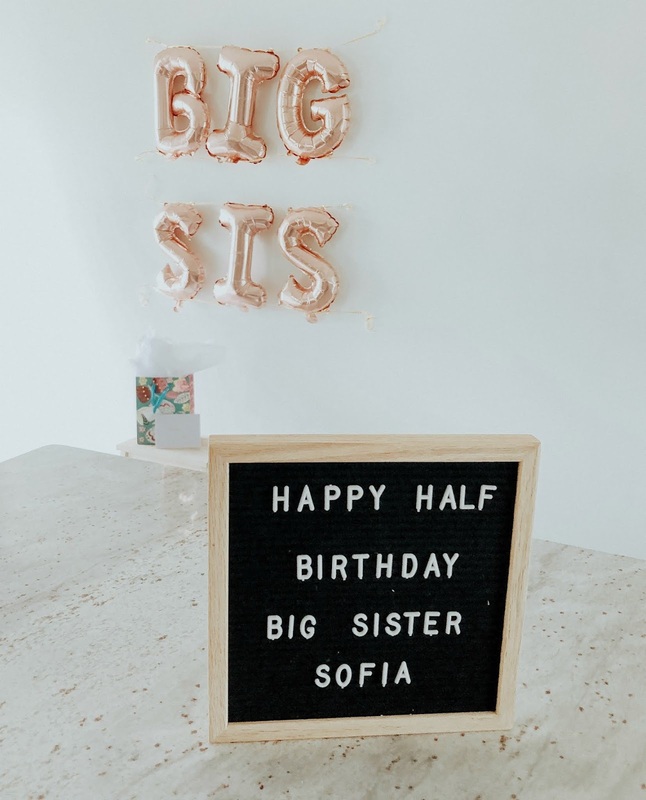 Sofia, I can't wait for you to meet your little sibling, you will be the BEST big sister ever! The big sister/half birthday surprise was a hit! 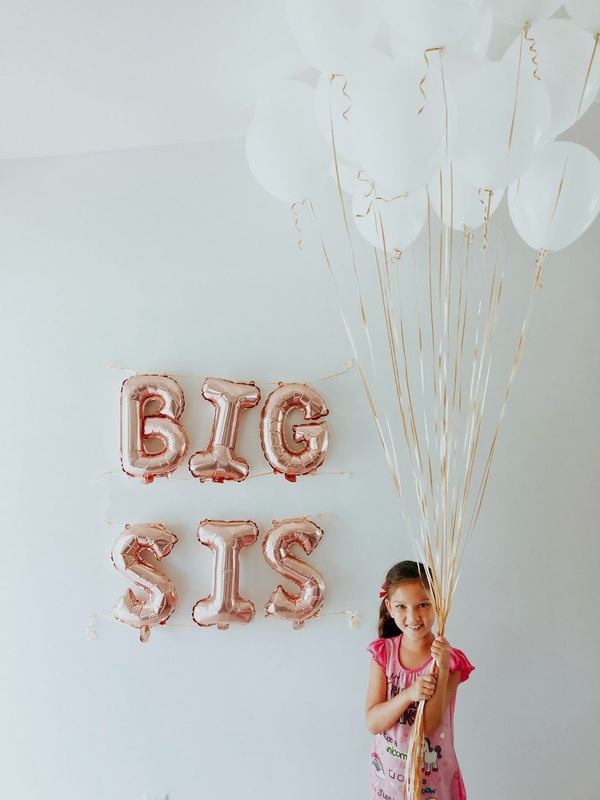 I found these 'big sis' balloons on Amazon (here) and just picked up 20 white regular balloons from the dollar store. It all worked perfectly. 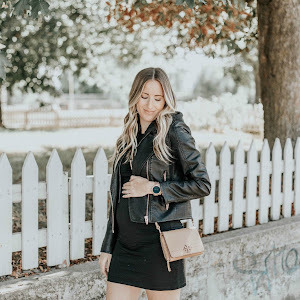 Next week I will have a recap of my first trimester!